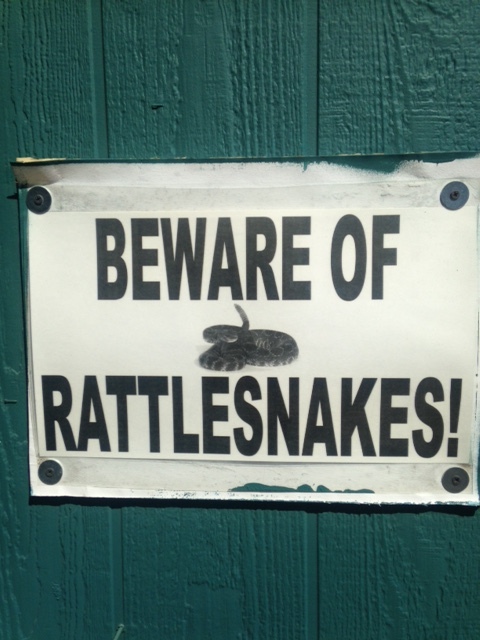 More warnings about rattlesnakes – this one in a park. The fauna in Northern California has plenty of members that I am not used to from Austria and they still seem exotic to me; skunks, raccoons, and possums might be a normal sight in most American backyards, but I still get excited when I see a skunk with its tail held high cross the street in front of me or see a raccoon slip into the opening of a storm drain or watch a possum pause on its path atop the garden fence when I am out walking the dog. Coyotes, mountain lions, and rattlesnakes are a little less frequently out in the open but definitely part of the neighborhood. Signs warning of rattlesnakes or mountain lions do exist but I came across a sign that warned not only of the expected animals but also of Bigfoot (see bottom of the sign). 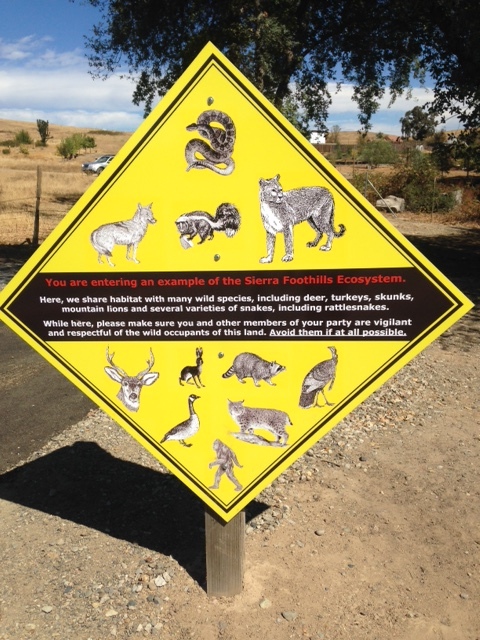 The Sierra Foothills are home to all kinds of creatures – including Bigfoot it seems (see bottom of the sign). 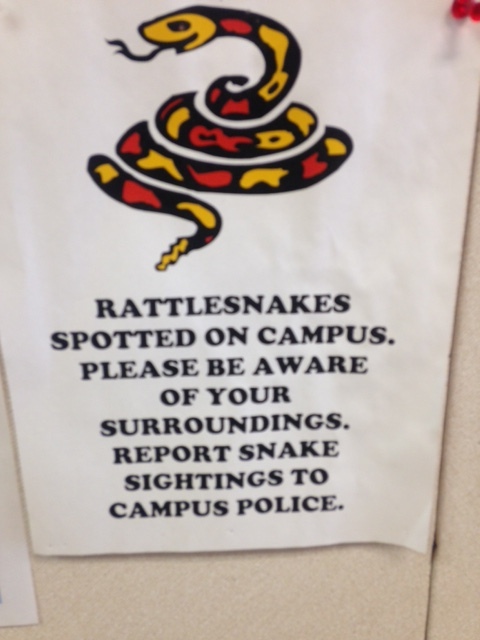 I saw this sign on a college campus on the path from the parking lot to the lecture halls. I am not sure if the people who approved the sign had a great sense of humor or whether the sign slipped through without catching someone’s attention before it was approved and installed. It definitely made me chuckle and curious to come back to see more of the local wildlife.